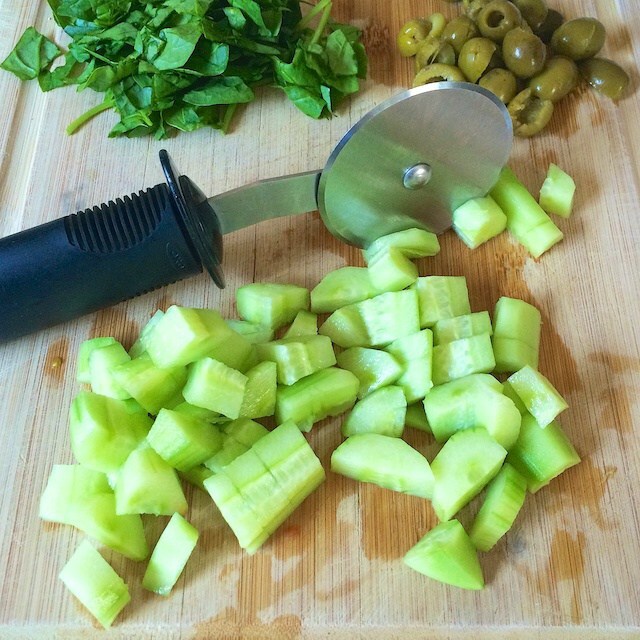 If you only use your pizza cutter for cutting pizza, then you are missing out! I have little kids, and I am constantly cutting food into small pieces. Pizza cutters are awesome for cutting pancakes, tortillas, and sandwiches. I also recently discovered that pizza cutters can be great for cutting fruits and vegetables too. Give it a try!